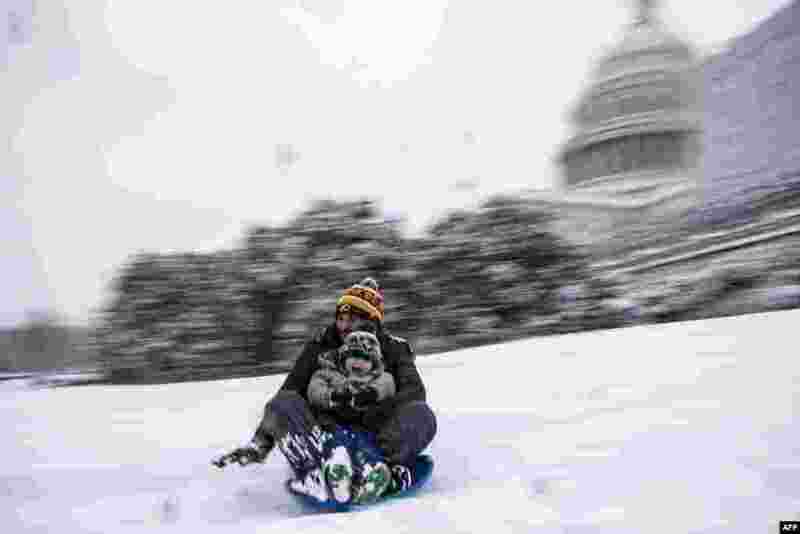 5 A family sleds down the West Front of the US Capitol as snow continues to fall in Washington, D.C. Washington area residents are waking up to a winter wonderland as a winter storm warning remains in effect until 6 p.m. Sunday and more snow is expected to fall. 6 Men wearing loin cloth hold bricks of ice in ice-cold water during a ceremony to purify souls and wish for good health at the Teppozu Inari shrine in Tokyo, Japan. 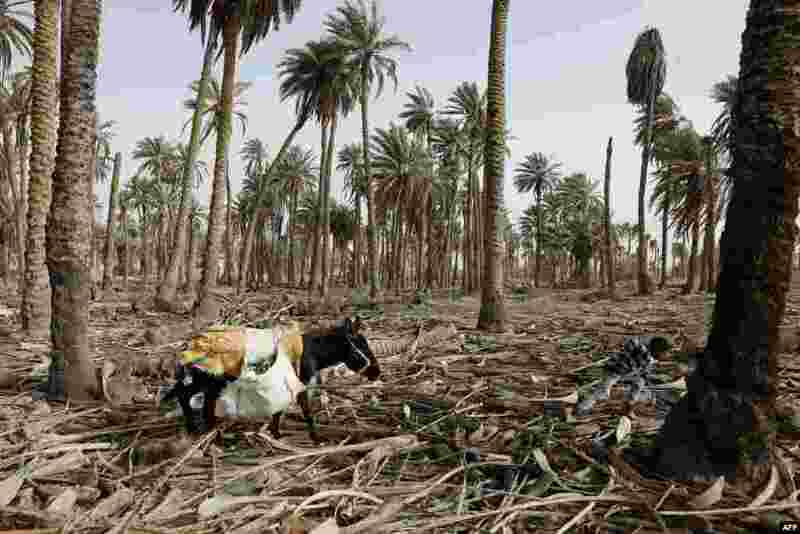 7 A Palestinian Bedouin boy pulls his donkey in the abandoned village of Ein Hajla near the West Bank city of Jericho. 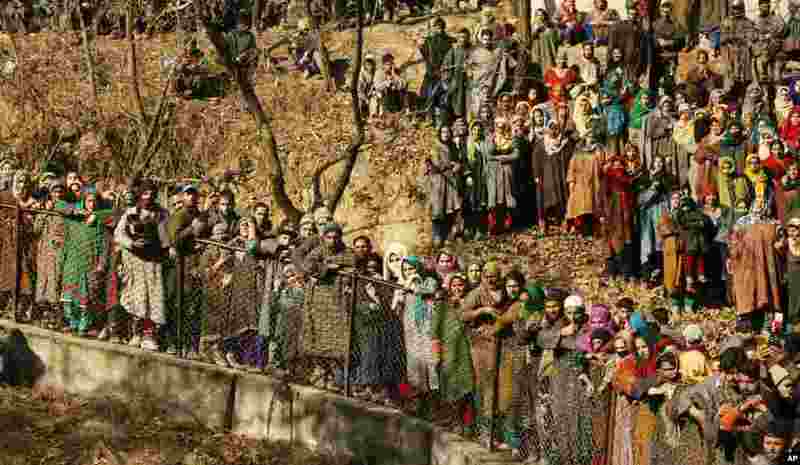 8 Kashmiri villagers attend the funeral of rebel commander Zeenatul Islam in Sugan village, 61 kilometers (38 miles) south of Srinagar, Indian-controlled Kashmir. Massive anti-India protests and clashes erupted in disputed Kashmir, injuring at least 16 people after a gunbattle between militants and government forces overnight killed two rebels, police and residents said.